Holi is a spring festival, also known as the festival of colours or the festival of sharing love. On this colourful festival of Holi thrill your guests with this non alcoholic mocktail drink. Fruit punch made of orange, pomegranate, grapes, lemon and thandai. Thandai is a traditional drink for Holi. Thandai, is a cold drink prepared with a mixture of almonds, fennel seeds, magaztari seeds, rose petals, pepper, vetiver seeds, cardamom, saffron, milk . Thandai is a refreshing summer drink. It helps to cool the body, give freshness and energy and have many other health benefits. Red is the color of fire and blood, so it is associated with energy, strength, power, determination as well as passion, desire, and love. The tangy taste of orange combined with pomegranate, grapes, lemon and thandai makes the drink super yummy and healthy too. Wet the rim of the glass that you are going to serve the drink. Spread the powdered sugar in a plate and dip the glass rim in it so that the rim gets coated with powdered sugar. Keep it aside. Combine all the juices. Add powdered sugar and thandai syrup. Mix well. Pour in the glass you prepared for serving. Garnish with pomegranate seeds,orange and lemon wedges. Enjoy this mocktail with the goodness of fruits on this Holi and beat the heat. Nanakhatai with oats and thandai. I have made it with thandai. Thandai is traditionally accociated with holi festival, a spring festival known as the festival of colours or the festival of sharing love. Thandai is a cold drink with lots of health benefits. Prepared with a mixture of almonds, fennel seeds, magaztari seeds, rose petals, pepper, vetiver seeds, cardamom, saffron, milk and sugar. Its very useful to be fresh and cool in summer. I have used store bought thandai syrup. This post is going to be a part of #Foodiemonday #Bloghop event. #Theme is fusion recipe using thandai. #Fusionthandairecipes. Fusion cuisine is cuisine that combines elements of different culinary traditions. Cuisines of this type are not categorized according to any one particular cuisine style . So presenting all time favourite nankhatai in a different taste. Cream together sugar and ghee or clarified butter. Add flour along with baking powder, soda, gram flour or besan and oats powder. Knead to a smooth dough. Add thandai slowly while making the dough. Add as require to make a soft and smooth dough. I have used 1\4 cup. Make small balls and press lightly with your thumb. Arrange in the greased tray keeping 1 inch distance. It will be doubled when baked. Bake at 180° in a preheated oven for 15-20 minutes. Timing depends on oven. Every oven takes different time. Check it after 10 minutes. Bake until cookies starts to turn light golden colour. Colour should be very light. Don’t overbake. Allow the nankhatai to cool before serving. Cookies will be soft when hot but they will turn crisp as they cool down. Store in an airtight container for further use. Enjoy the crispy crunchy thandai nankhatai with your tea or coffee. Mixed vegetables with wonderful flavour without much calories. Just cook the vegetables on high flame, then bake with generous amount of bread crumbs, grated cheese and seasoning of your choice. Enjoy the yummy crunchy baked vegetables. 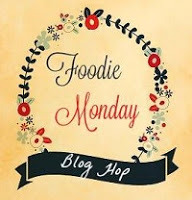 This post is a part of #Foodiemonday #Bloghop. This week’s theme is any type of microwave cooking. Grilling, baking or cooking. I have decided to share a very easy to cook and yummy baked vegetables. Serve it as a side dish or enjoy a bowlful of this healthy and delicious vegetables in breakfast. Peel the potatoes and carrots. Clean, wash and chop all the vegetables in small pieces and keep aside. Grind tomatoes garlic and ginger. Heat oil in a pan. You can use butter or olive oil too. Add chopped onion and green chilli. Saute till the onions becomes translucent. Add tomato ginger garlic paste. Saute and add all the vegetables, spices and salt. Mix well and cover the pan. Cook until done. Keep stirring. Add tomato sauce, mix and let the vegetables dried up. Pour the vegetables in a baking tray. Label with a spoon. Sprinkle bread crumbs generously all over the vegetables. I have used home made bread crumbs. Toasted brown bread in a toaster. Then ground the toasted bread. You can use white bread too. Sprinkle grated cheese all over the vegetables. Cover the vegetables completely with bread crumbs then cheese. Garnish with tomato and onion slices. Sprinkle one teaspoon oil on them. I have sprinkled oregano over it. You can sprinkle mix herb or chaat masala too. Sprinkle any herb or spices of your choice. Bake in a preheated oven at 180° for 15 to 20 minutes or until the cheese turns light brown. Serve hot with roti/Indian bread, paratha, naan or toasted bread. Or serve bowlful of this healthy and yummy baked vegetables in breakfast. A perfect snack for kiddos. Very easy to make and in a healthy way. Just marinate and cook. Mushrooms are full of protein, vitamins, minerals, amino acids, antibiotics and antioxidants. Its protects us from diseases and infections. Its helps in weight loss too. Increases the strength of immune system and lower the body’s cholesterol levels. Clean and wash the mushrooms. If you have small mushrooms keep whole but if large make them half. Mix ginger garlic paste, salt, all the spices and oil in the well beaten curd. Marinate mushrooms, capsicum and onions in this curd mixture for 1/2 to 1 hour in a microwave safe bowl. Now microwave them for 6-8 minutes on full power. Time depends on oven. Check and cook in microwave for 2 minutes more if require. Mushrooms release water. So I dried up the mushrooms in a pan on high flame. When the mushrooms completely done in microwave check it. If you like pour the mushrooms in a pan and dried up on full flame. Garnish with chopped coriander leaves. Serve as a side dish with roti/Indiana flat bread, naan, paratha or toasted bread.